A living wall can provide a range of benefits, from improved aesthetics and air quality to greater energy efficiency and enhanced biodiversity. 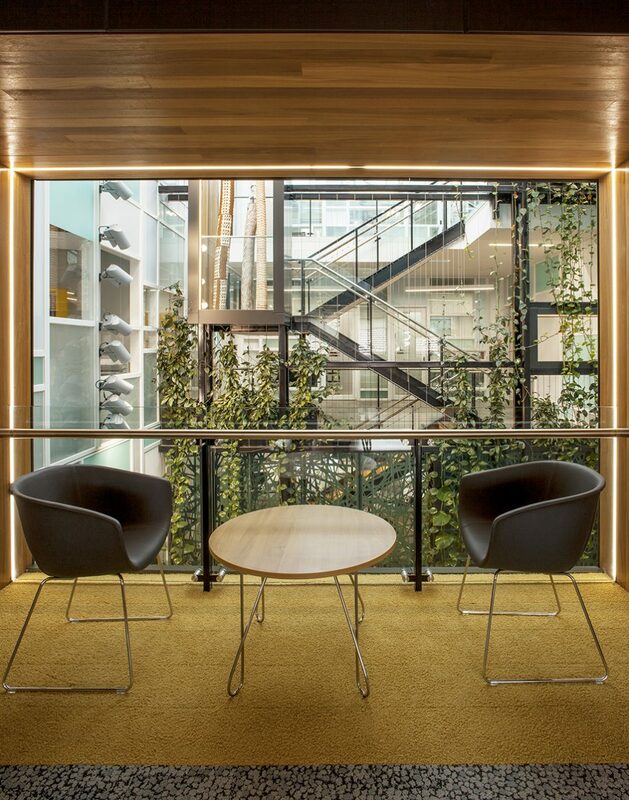 Designing living walls in accordance with client wishes requires a whole range of considerations. We’ve teased out five of the most pertinent factors when it comes to designing the best green wall or facade. The design of the wall or facade will depend on which benefits are paramount to the client. 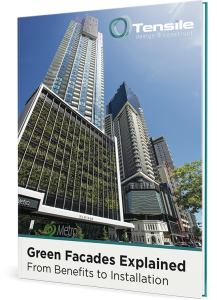 This might be cooling and privacy screening for a residential building, improved energy efficiency for an office block, improved visual appeal for a shopping mall, and so on. The type of plantings will depend on the type of living wall. Options include plants grown from the ground level in soil or on a planting bed, plants grown in a specialist growing medium in containers at different levels, or a combination of methods. Plant selection may include twining plants, tendrils or leaf-stem climbers for a facade, or herbaceous or shrub-like plants for a green wall. Irrigation and drainage will also need to be factored into the system design. Examples of supporting structures include vertical steel cables or ropes for climbing plants such as vines, or cable lattice or mesh structures for spreading plants such as leaf-stem climbers, tendrils or scramblers. Where container plants are used, a framework or rack system may be needed to anchor the containers in place. Transient loads – movement, wind, rain. Dead loads – final weight of all the elements, such as plants, substrate and supporting structure. Pre-tension loads – that is the tension held in the support structure. Precision engineering – for example, support cables need to be engineered for a dead weight of 8km/m2, and wire mesh systems for 20kg per lineal metre. Under-engineering can lead to a system that lacks sufficient strength, while over-engineering can add unnecessary cost to the project. Living walls require the same attention and care as any type of garden – including weeding, plant replacement, pruning and fertilising. This means that access for maintenance needs to be incorporated into the system at the design stage. Options include boom lifts, rope systems or building maintenance units, or a bespoke system such as a walkway built into the support structure. 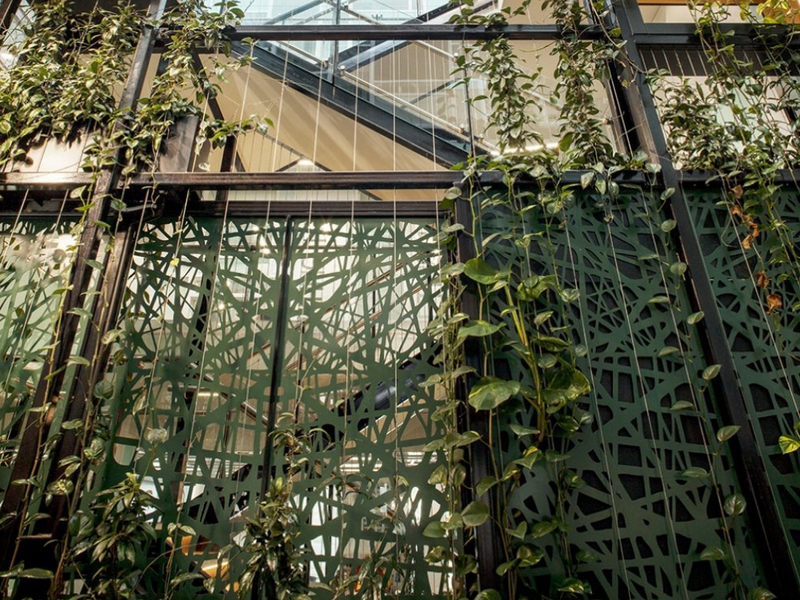 We provide a full range of services for living wall designs, from plant selection and supporting structures through to supply and construction. Get in touch with our team to find out more.